There are few things more breath-taking than a bride in a beautiful wedding gown. Some designs, however, are copied again and again. These classic dresses embody the spirit of the era and represent the elegant women who wore them. The women wearing these dresses married legendary men and they have remained fashion icons for decades. From modest to chic, here are some of our favorite wedding dresses from the women we looked up to. She was flawless, but with a very modern feel. Her style has been copied a million times and her long hair and nails accentuated everything she wore. 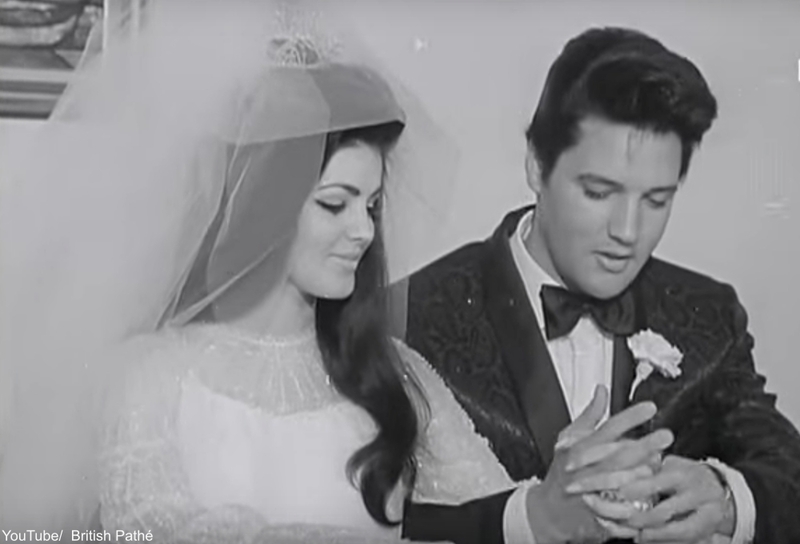 Her wedding dress the day she married Elvis Presley was a long, sparkling shift dress. It was so modern and glamorous, yet was very modest. Her long train and veil added to the appeal of this distinctly 1967 dress. You can watch her feed him a bite of cake below! Click the “Next Page” button for number 5! A lover of antiques and a collector of all things vintage, discovering treasures has always been a passion for Rose. Once a seller of antiques, collecting early 20th century advertising art has become her main focus, in addition to studying and writing about history.